OnePlus 3T Specifications, Price, Release Date: OnePlus 3T is scheduled for release today in India exclusively for Amazon Prime customers. Those who hadn’t ordered Amazon Prime can make the payment online straightaway and get the Prime activated in less than a couple of seconds. 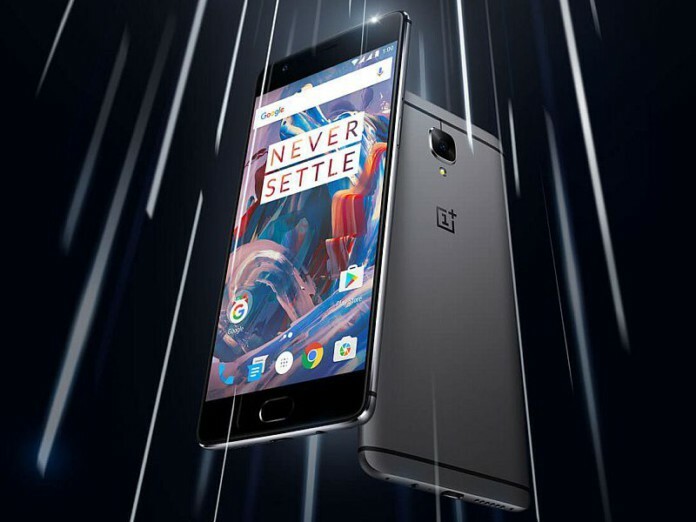 It’s the latest phone by OnePlus released in November during a mega event, OnePlus 3t got major improvements in terms of RAM handling capacity with specialised processor capable of handling much more than a couple of applications. OnePlus had already shocked the country after releasing handsets with quite decent RAM management capabilities. Since company believes in more the better concept, it’s good for them to consider competitor Apple. Since iPhones were the only best phones available in the market with smart RAM managing capacities, it got a definite boost being the only competitor. The dimensions of OP3T are 6.01 x 2.94 x 0.29 inches. This size could be bit large for the small hands. Weighing only 158 grams, mobile phone also supports dual SIM which was a long time demand for the next handset. The best part of the story is, both SIM card slots does supports 4G VoLTE network which got amazing boost after launch of Jio. Display of OnePlus 3t is quite impressive but too much large. Its has Corning Gorilla Glass 4 of 5.5 inches as the screen which produces 16 million colors. The screen is scratch resistant at some level, but a screenguard would always be recommended. The screen is Full HD which is a disappointment as geeks were expecting at least 4K screen this time from the house of OnePlus. OnePlus 3t is currently running on Android OS, v6.0 (Marshmallow), there is confirmed update to be rolled out during the upcoming couple of months for Android Nougat. Oxygen OS would be an easy to use thing for the lovers of clean operating systems. Quick access toolbar has been improved by the company which should be a must check out. Along with the basic features, mobile is equipped by a Quad-core (2×2.35 GHz Kryo & 2×1.6 GHz Kryo) Qualcomm MSM8996 Snapdragon 821 processor which is the latest version in most loved Snapdragon processor series. We checked and Adreno 530 GPU is running smoothly like anything with OnePlus 3t which is a definite positive in the list of specifications. OP does it again by not giving any memory card slot in their phone. This is the thing for which company should be criticised. The card enables exchange of data quickly and easily among the people. 64GB would be enough for personal photos storage but heavy users should prefer 128GB model. The strong behind preferring 128 GB model is the space video consumes out of the phone memory. With great battery and great camera, responsibility to capture great photos arrives. Needless to say OnePlus 3T has 6 Gigs of RAM which should be enough to handle every single application on the play store. 16 MP primary camera with f/2.0, phase detection autofocus, OIS and LED flash are the features which were common in the old version of the mobile too. The HDR photos can be captured very smartly. 1/2.8″ sensor size and 1.12 µm pixel size is nearly the best in the market. It appears smartphone manufactures had waged a war against the camera and videography companies. You can capture the HD videos with the smartphone. There are two modes available, 2160p@30fps and 720p@120fps. Slow motion videos are supported right from the out of the box camera application itself. Secondary camera is more good than the expectations. 16 MP selfie camera is capable of capturing every moment for you as beautifully as it could. Along with that, HD video recording is also possible with the mobile itself. Alike many other handsets of Oneplus, OnePlus 3T also comes with noise cancellation mic which works well if no cover used. Along with all the smart features, OnePlus 3t also has basic one like GPS and WiFi compatibility. All 5 popular sensors (Fingerprint, accelerometer, gyro, proximity, compass) are available which makes it more powerful than ever. With the whole new feature introduced by Oneplus named “Dash Charge”, it could help in Fast battery charging: 60% in 30 min. The capacity of battery is 3400mAh and the performance is amazing.